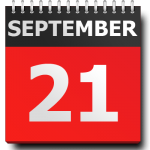 SEPT 21st. 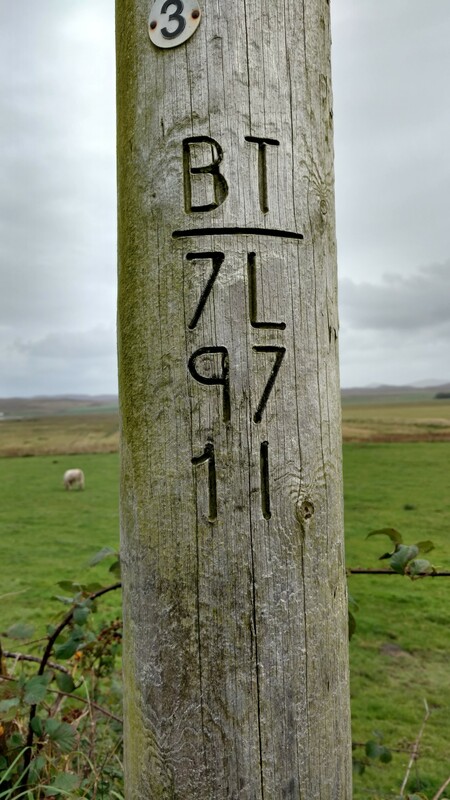 Society Member #666, Dave Bennett writes: “I thought you’d like to see that we devotees of The Cause in Wiltshire, are celebrating TPAS DAY at Pole-Henge just up the road from me. 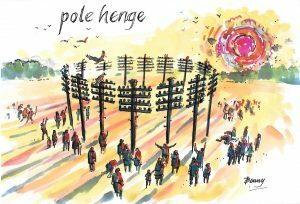 This was the scene at first light this morning with folk already assembling for the Big Sunrise when thousands are expected. 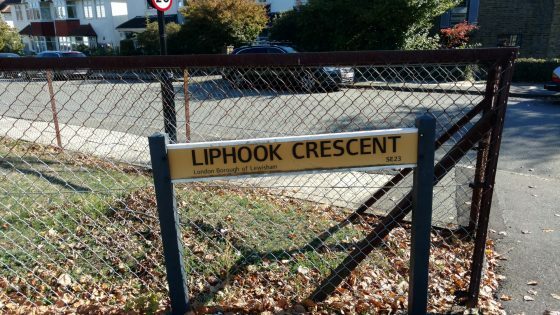 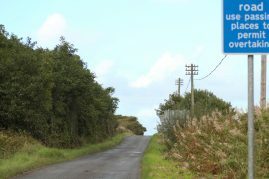 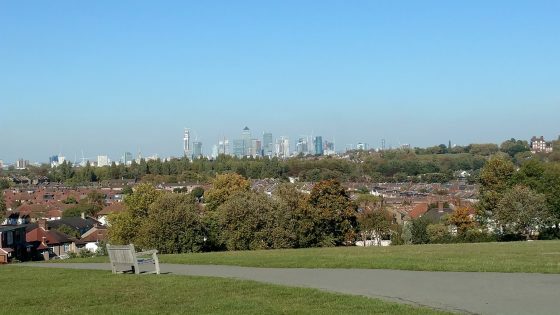 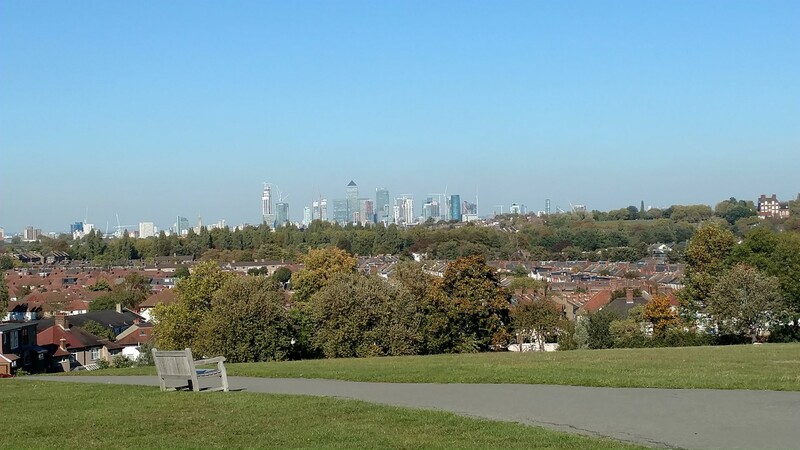 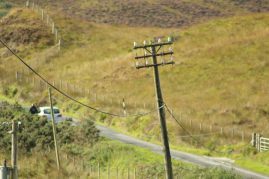 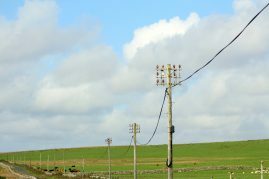 There is more security this year but it was established that the minor crowd trouble last year was entirely due to a few hotheads from the Pylon Appreciation Society – metal morons ! 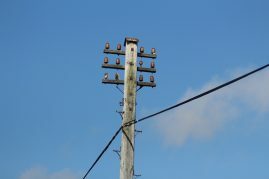 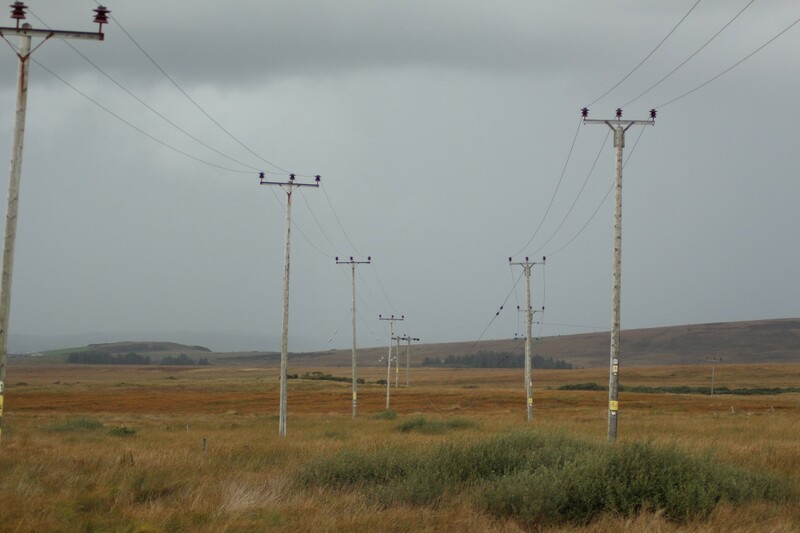 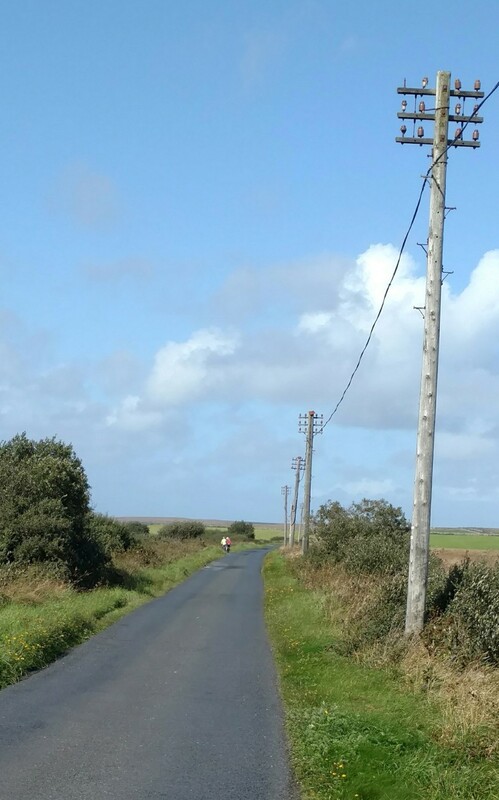 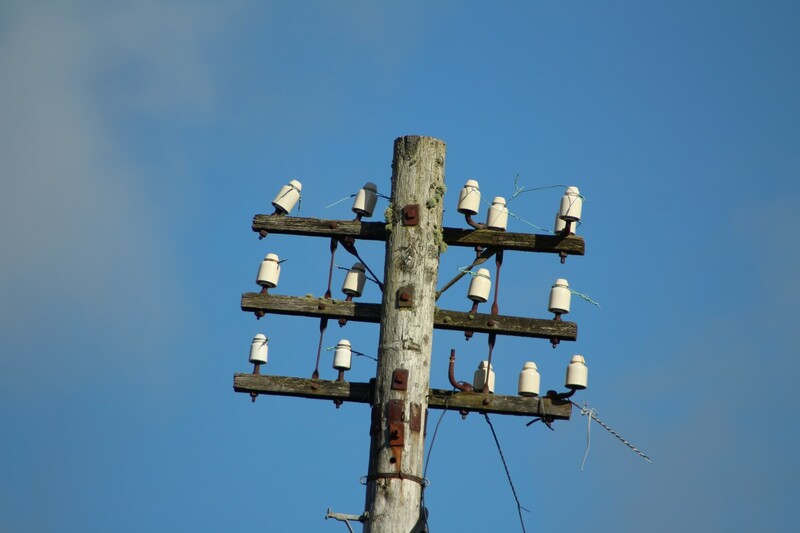 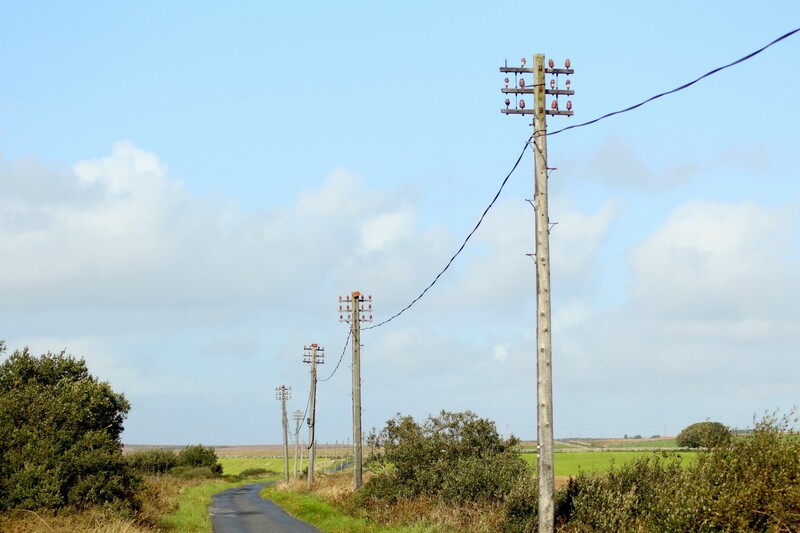 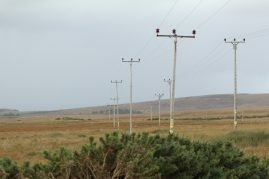 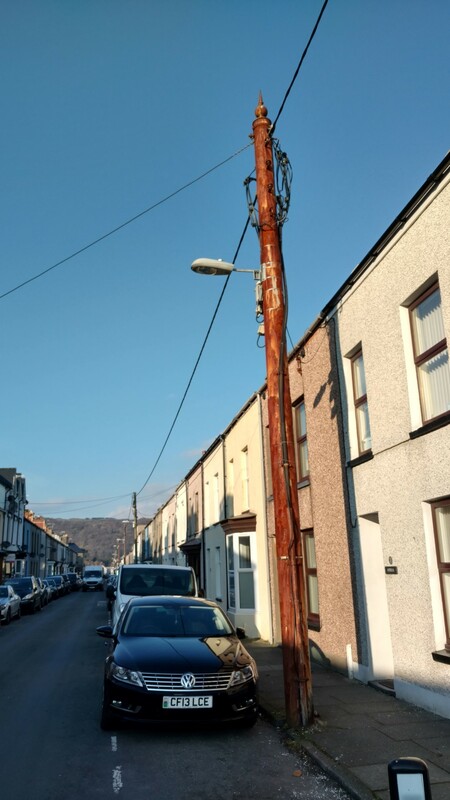 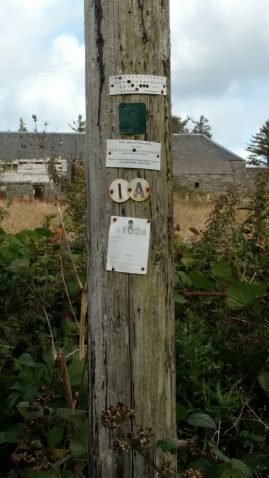 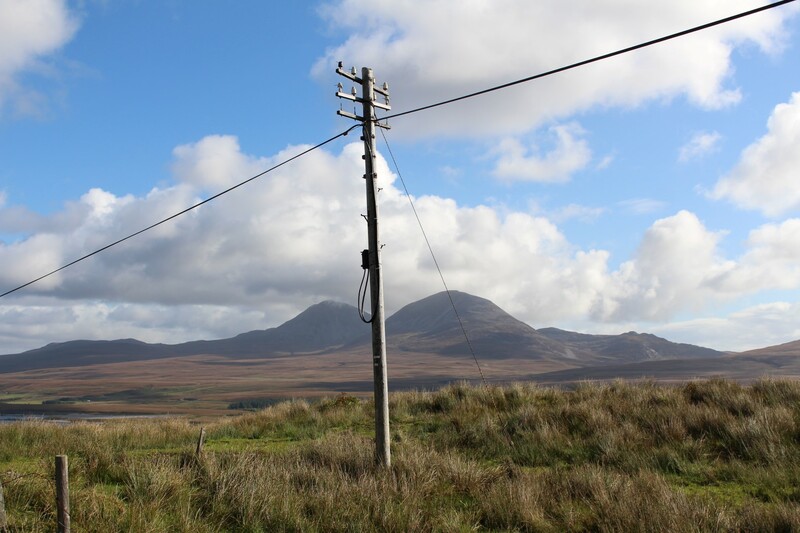 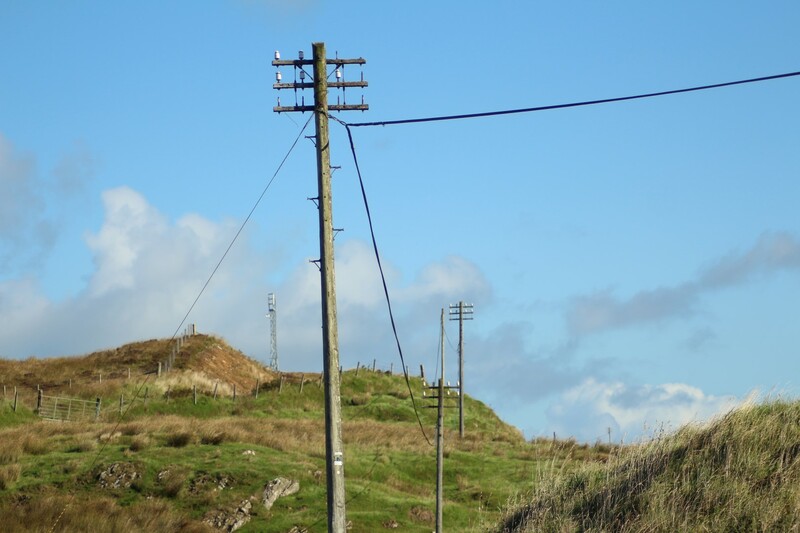 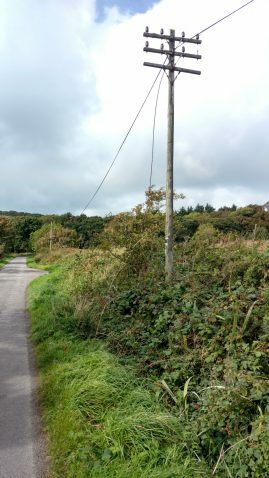 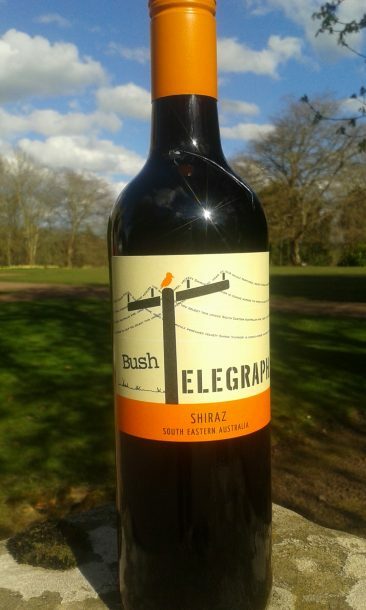 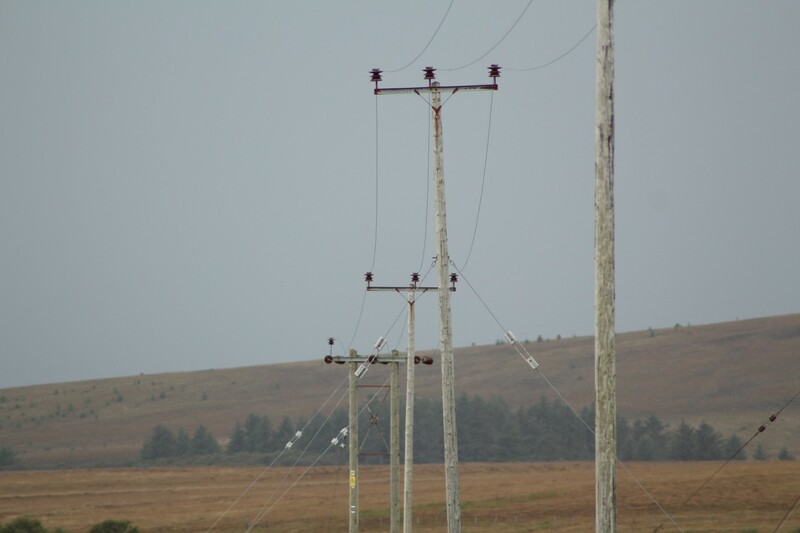 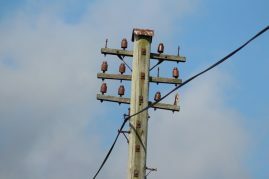 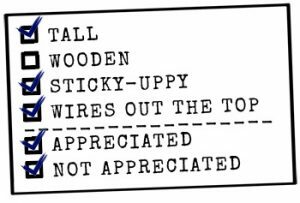 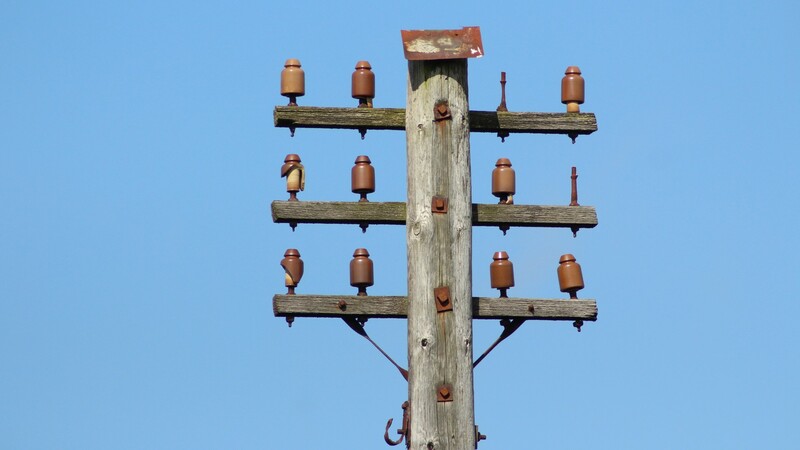 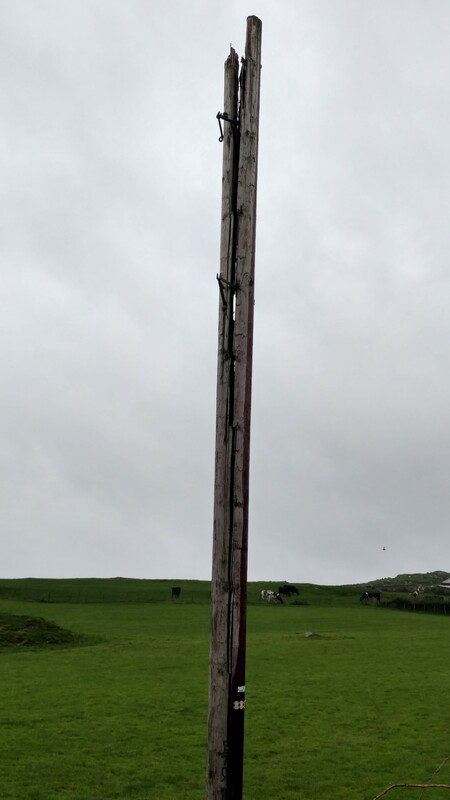 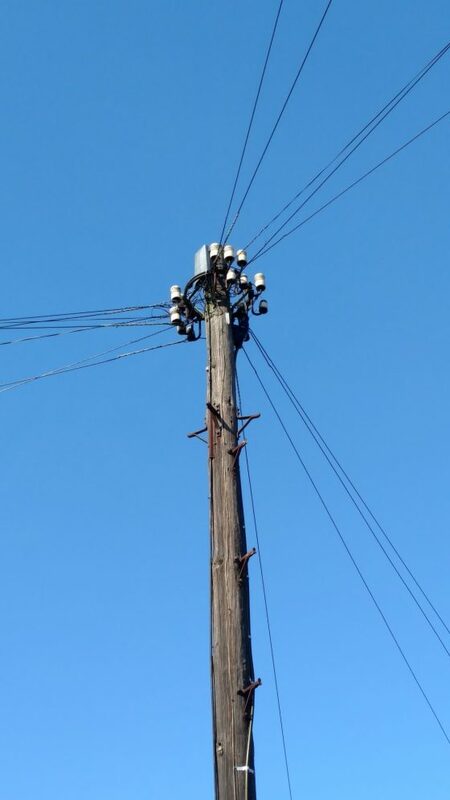 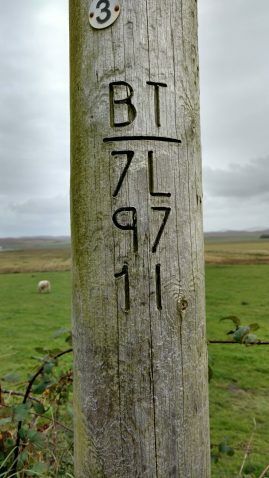 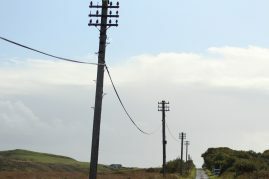 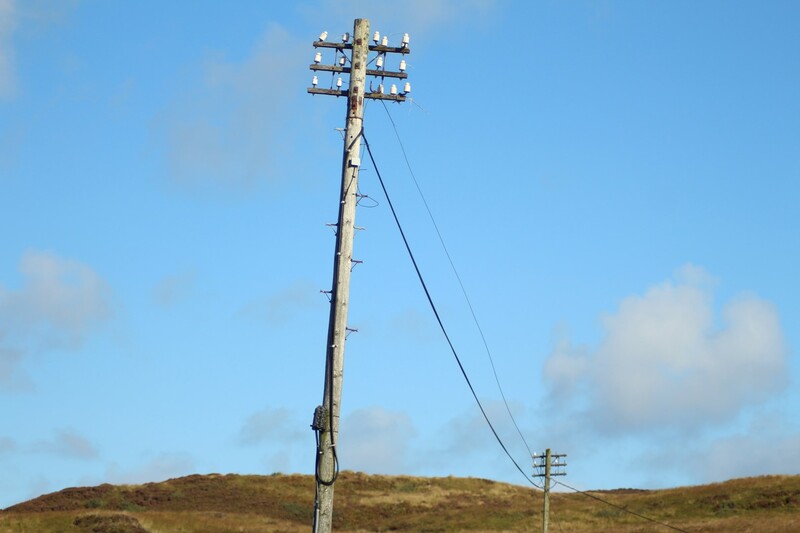 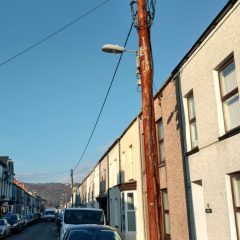 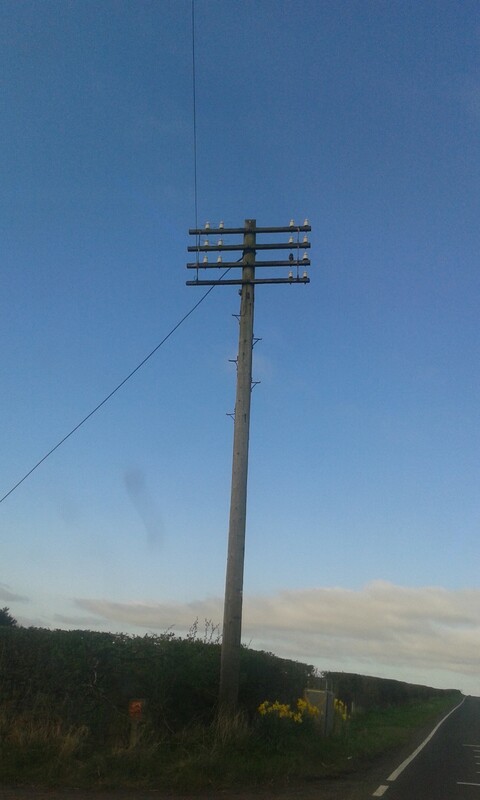 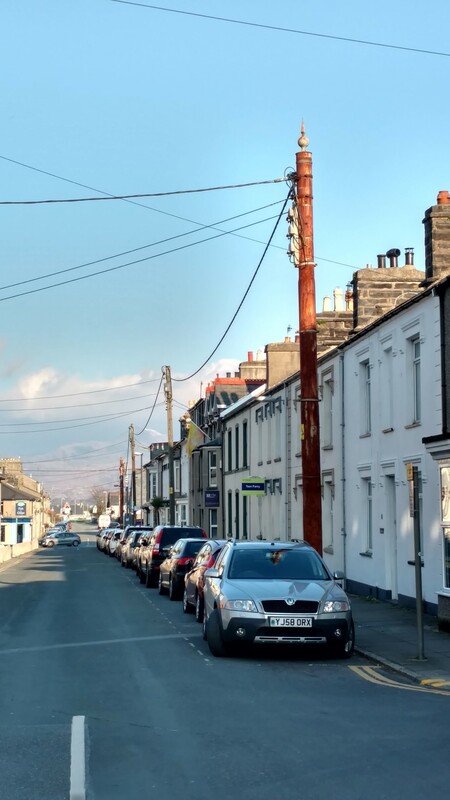 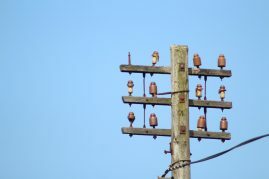 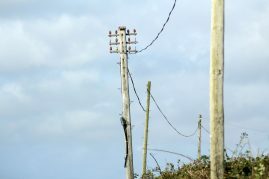 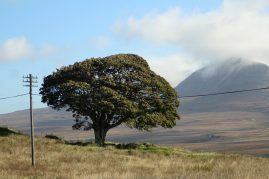 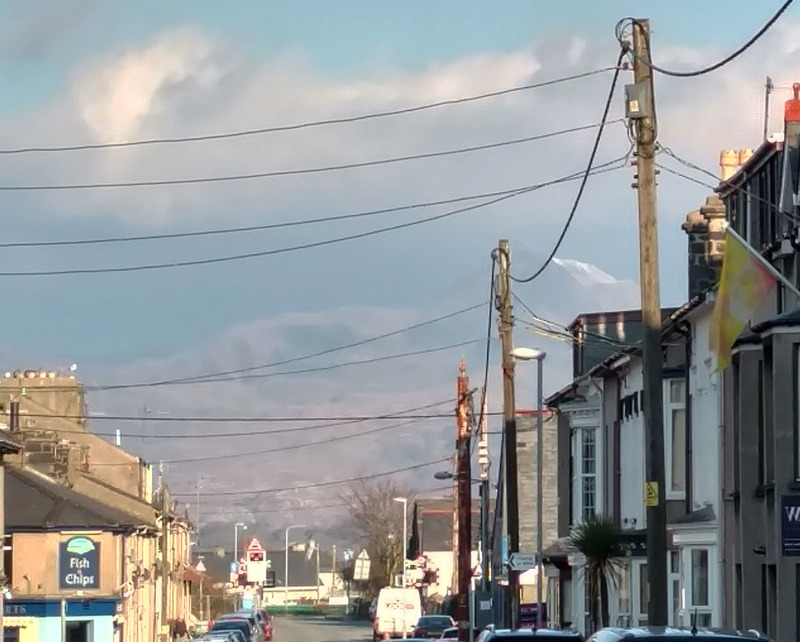 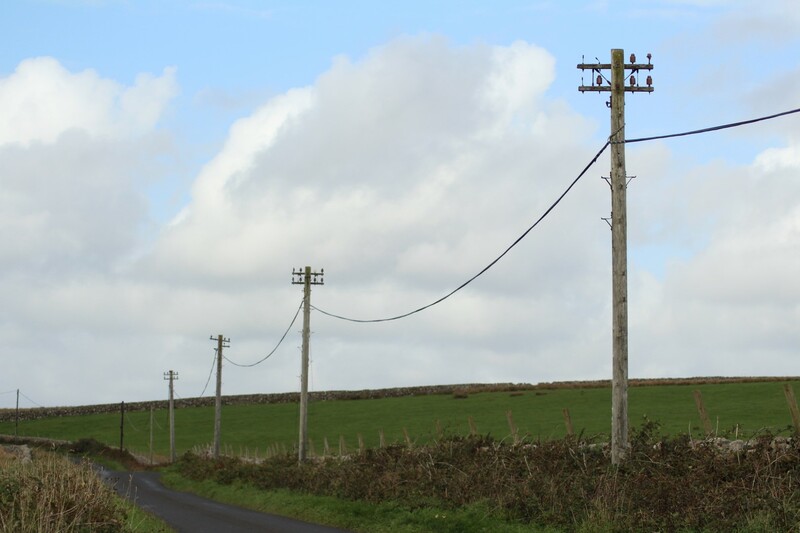 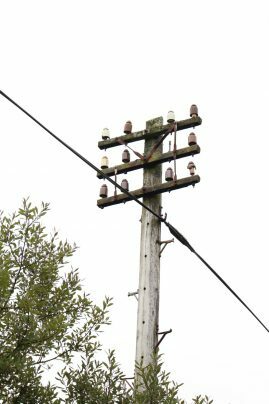 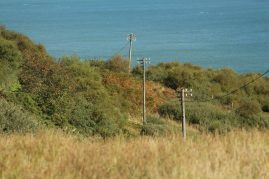 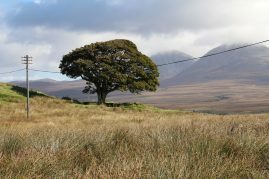 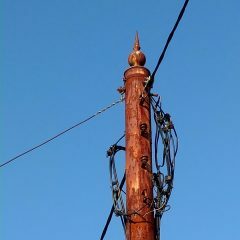 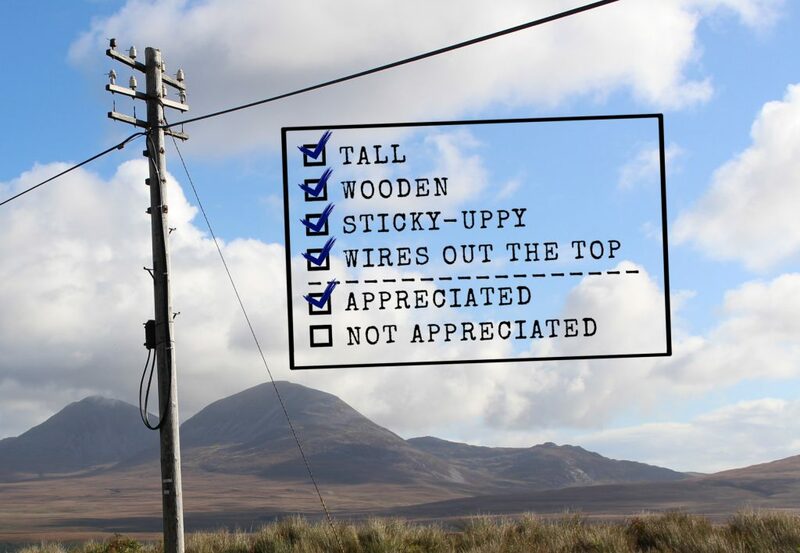 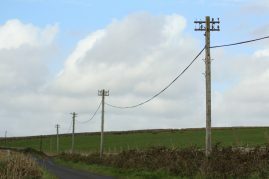 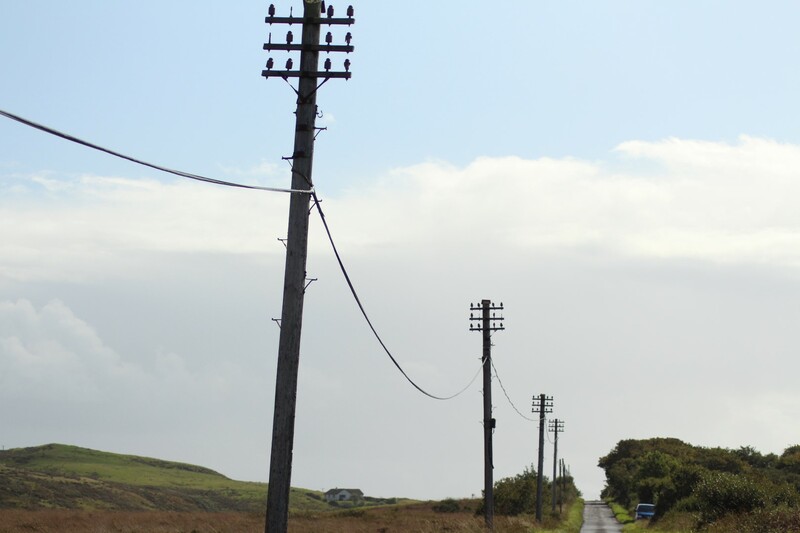 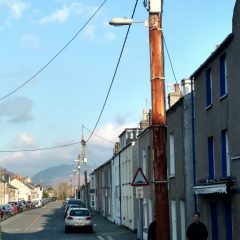 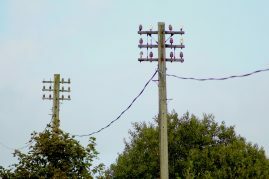 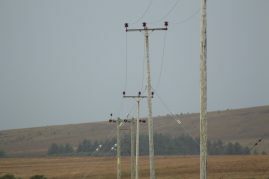 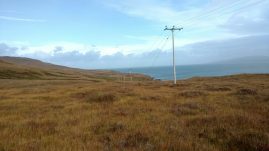 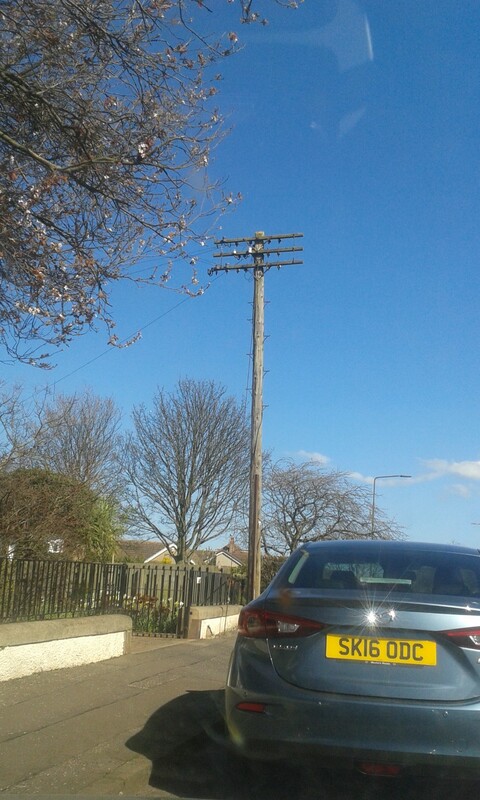 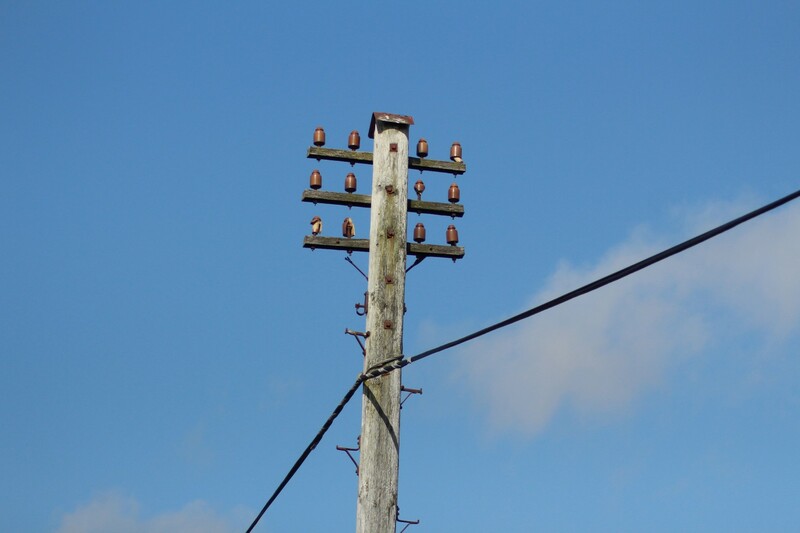 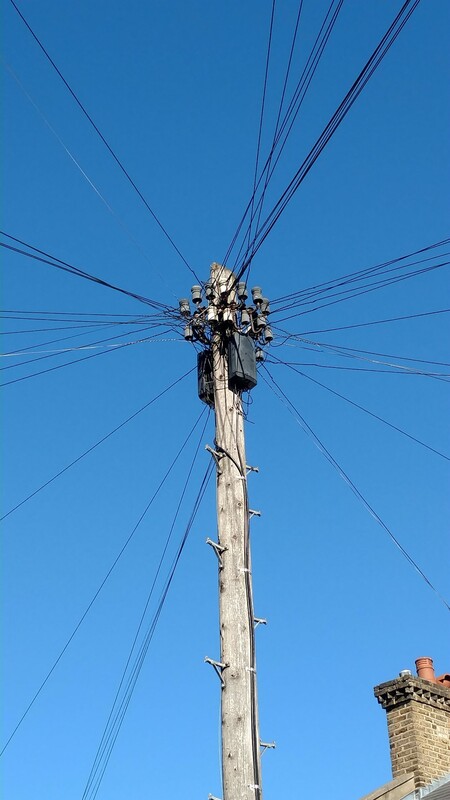 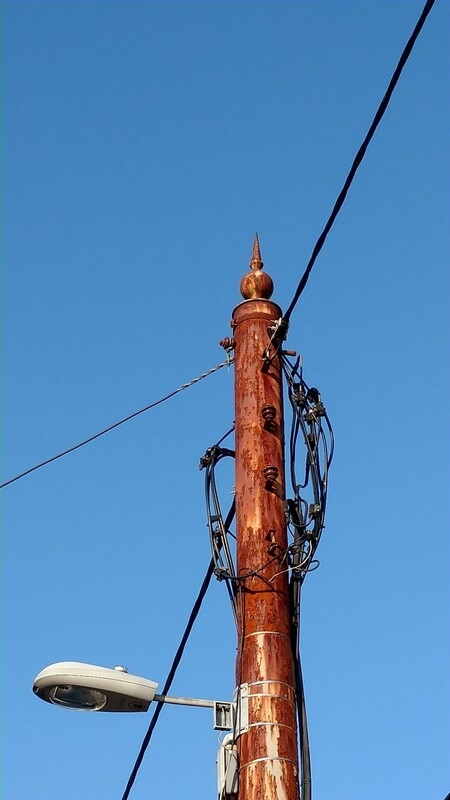 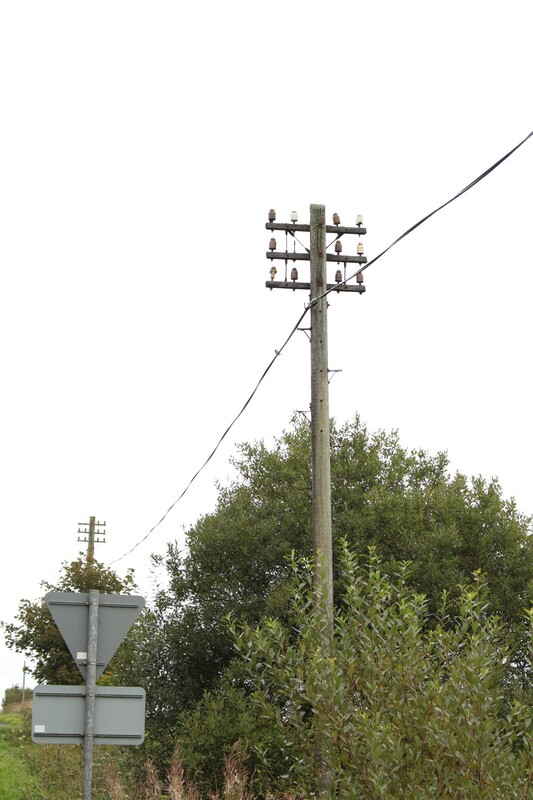 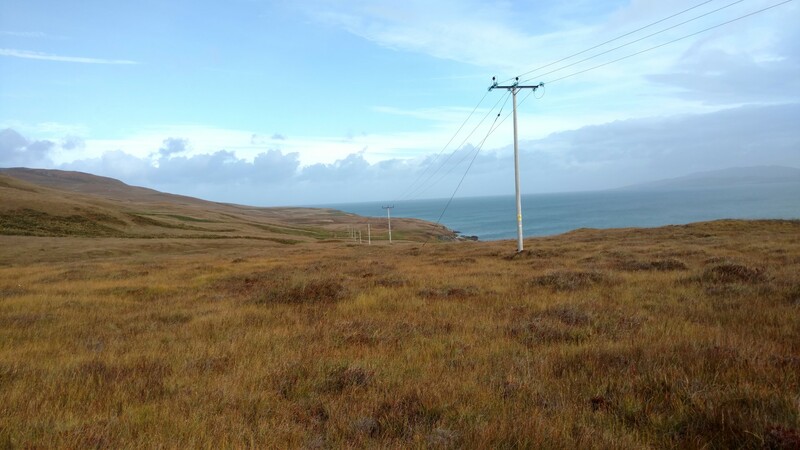 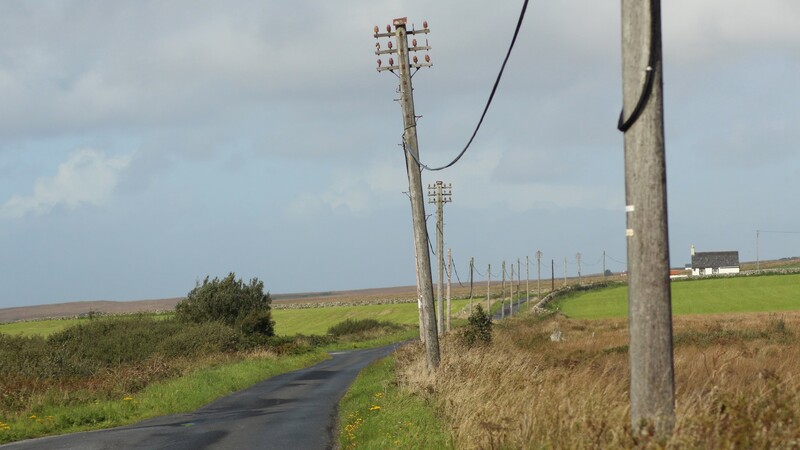 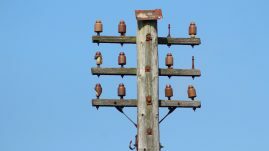 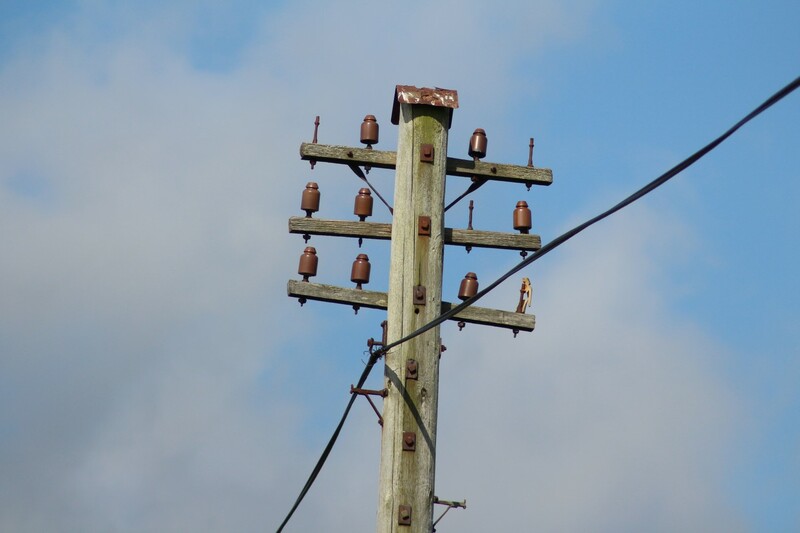 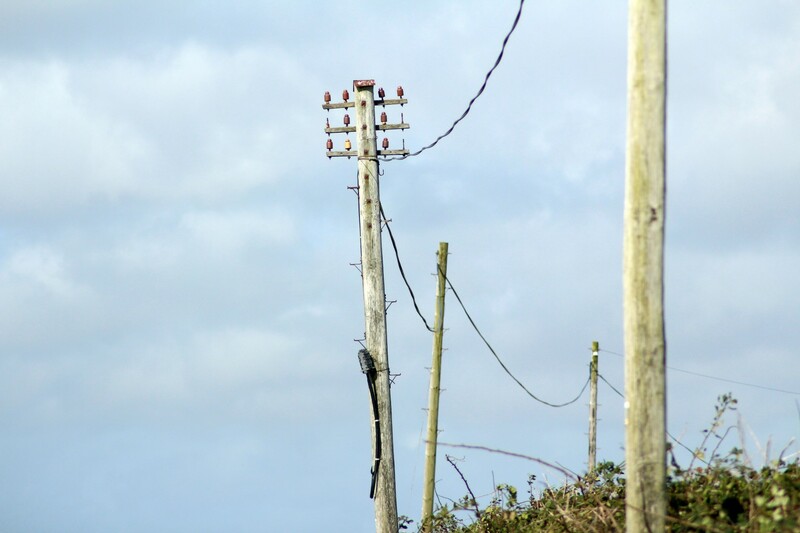 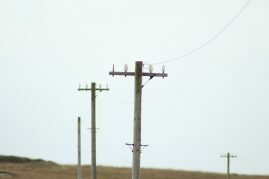 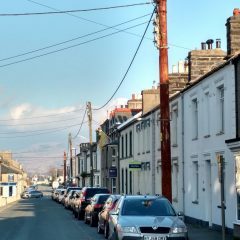 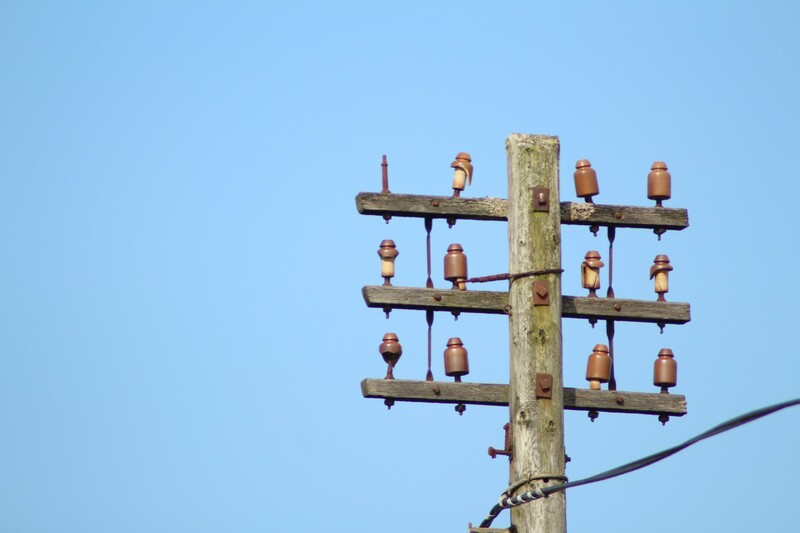 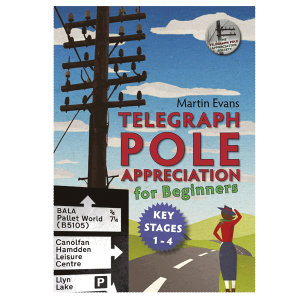 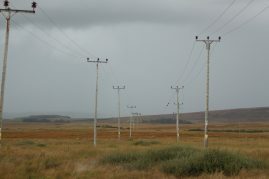 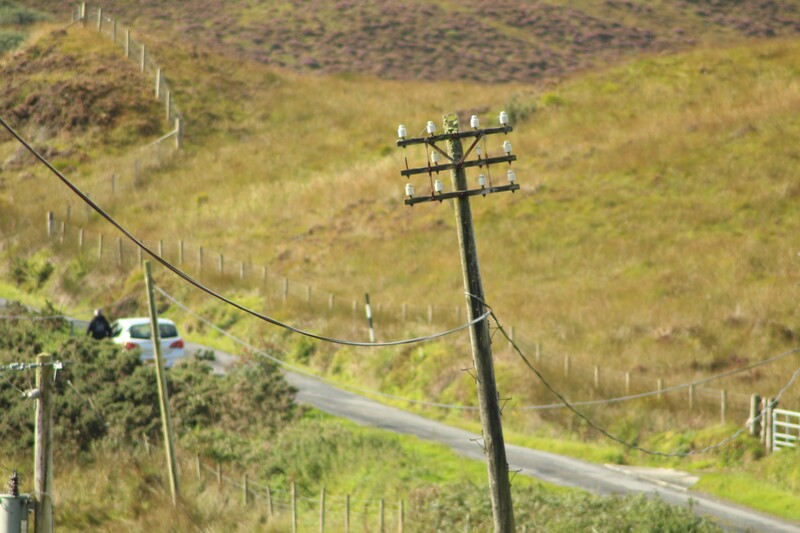 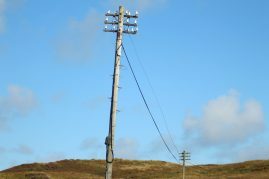 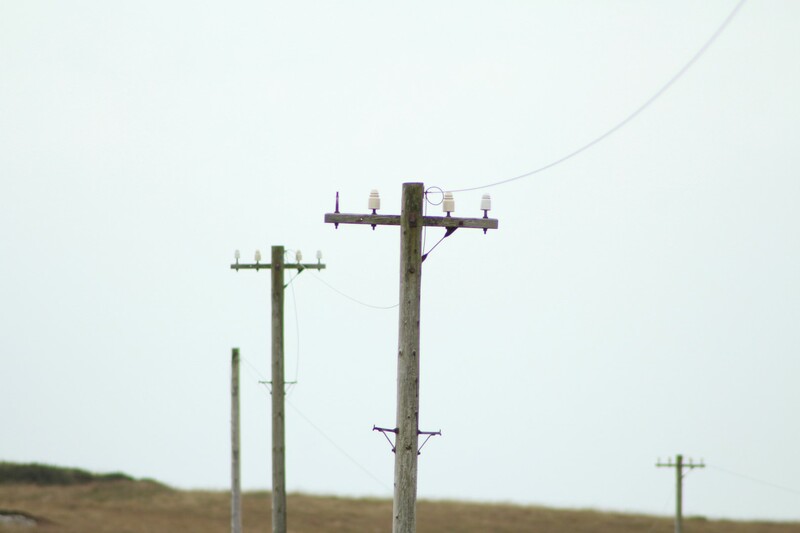 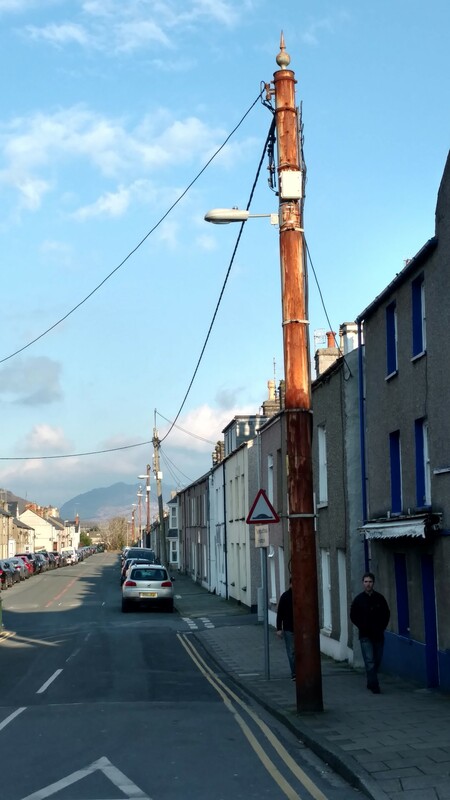 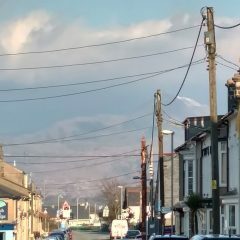 HAPPY TELEGRAPH POLE APPRECIATION DAY. 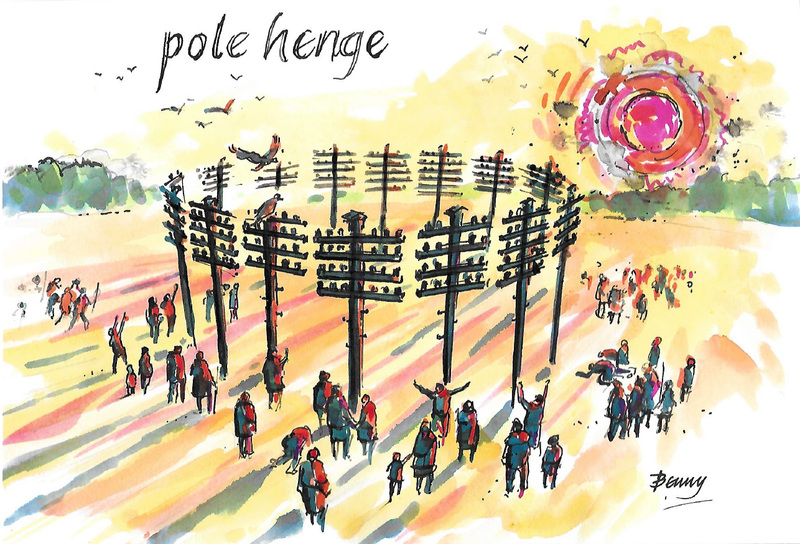 The scene at sunrise, Polehenge on Telegraph Pole Appreciation Day. 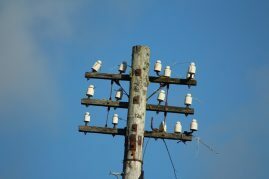 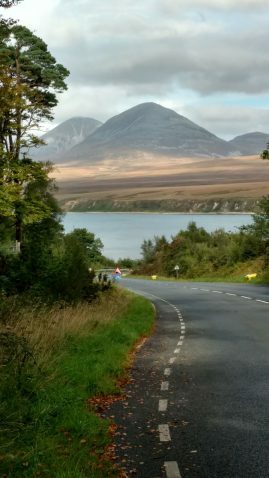 Thanks to Dave Bennett for the pic.